It was eight-thirty on a pleasant summer morning when vehicles from all over the South, as well as a couple from Yankee states, began to converge on a strip mall on the outskirts of Charlottesville, Virginia. Here is where members from the political groups of what we would have to call the Hard Right, the League of the South, the Traditional Workers Party, the National Socialist Movement, Identity Europa and a couple of other smaller groups whose names I did not get a chance to know, decided to rendezvous so as to enter Charlottesville safely and in a relatively organized manner. In a very short time police cars from the local Sheriff's department also began to gather nearby, the cops watching us assemble, and they were evidently relieved that we were not staying. 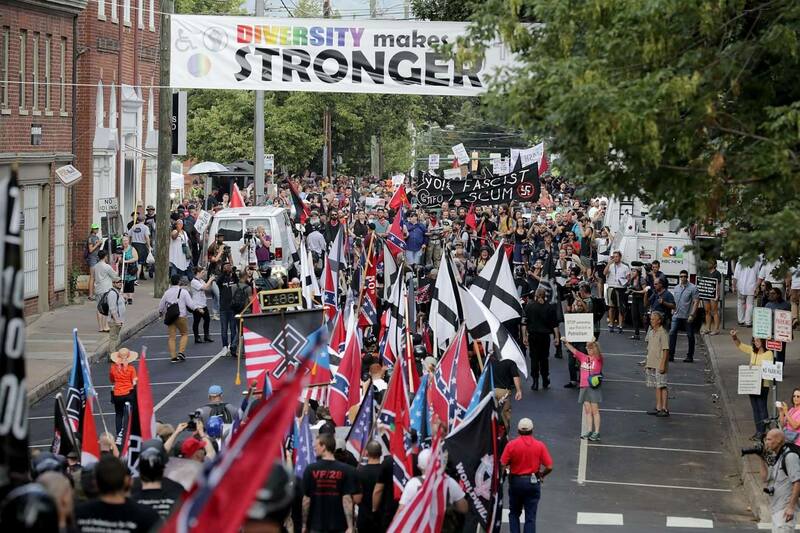 Under normal traffic conditions, there would be a fifteen-minute drive to Lee Park, the location of the #UnitetheRight rally which we had all planned to attend. 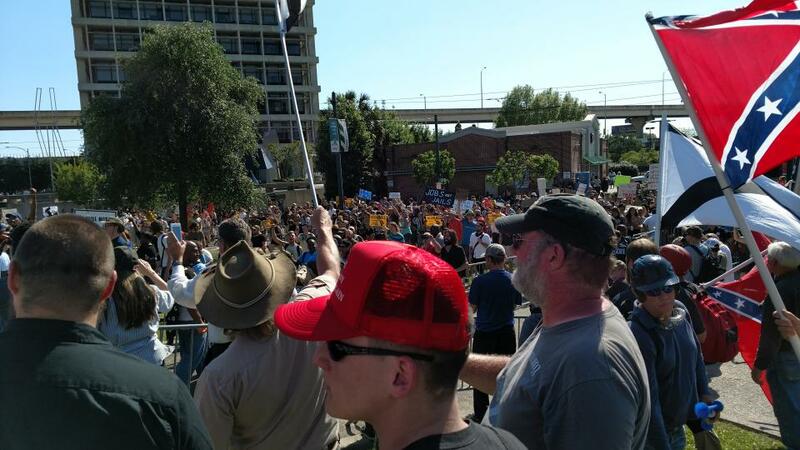 Once there was confidence that everyone coming was informed and organized, we drove in a long caravan to the Market Street parking garage. Skewed results in Google searches caused some confusion with another garage on Water Street, but that was straightened out in just a few minutes. Perhaps that actually helped us, as various Leftists were scattered around in small groups in the Water Street garage, and watching us closely as part of our caravan, disconnected from the lead vehicles by the Charlottesville traffic, only passed through after being redirected to the correct destination. However in either garage, there were seedy-looking Leftists at the entrances with cell phones or laptops aiming to take pictures of every single face and every single vehicle. The information collected will surely be used to gather intelligence on the lives of private citizens, “doxxing” them so as to cause them trouble at home. Once everyone was parked and reassembled, a large column began to form on one floor of the garage, perhaps four men wide and a city block long, and if I had to guess I would say there were at least 400 of us. Being one of the later arrivals at the garage, with my wife in tow and looking for a hole in the column we joined in behind the Identity Europa group who were in line after the men from the League of the South, who were for the most part leading the procession. From there we had a three-block walk to Lee Park, but nobody in the group could have anticipated just what a walk it would be. Before we set out, we were reminded that some of the Alt-right groups who had planned the events scheduled for August 12th really did not want us there. 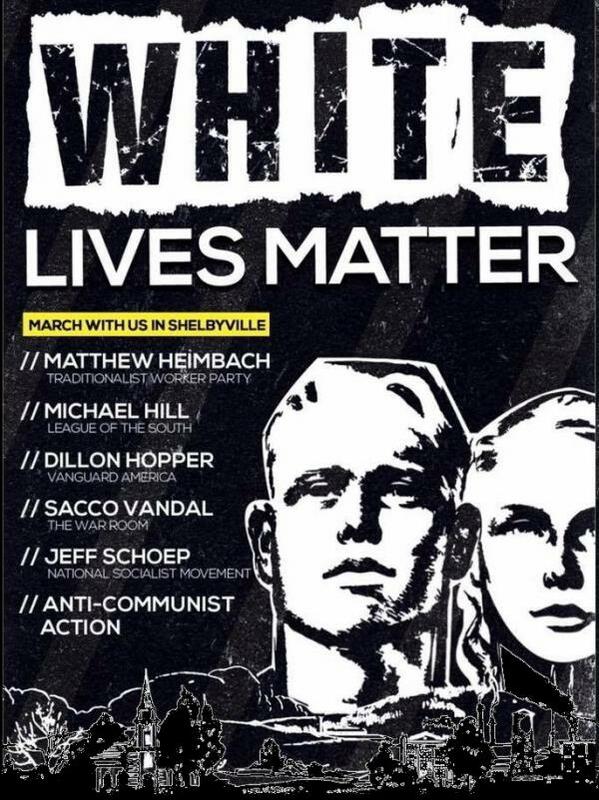 There were Alt-Right groups as well as what we call the Alt-lite, who are mainly civic nationalists, who are either embarrassed or repulsed by uncompromisingly racial and even openly Christian attitudes and professions, and among these were the organizers and some of the planned speakers for the event. We expected that there may be tensions with these people once we entered Lee Park. We also expected the presence of large numbers of counter-demonstrators, but we did not expect what we were actually about to encounter. 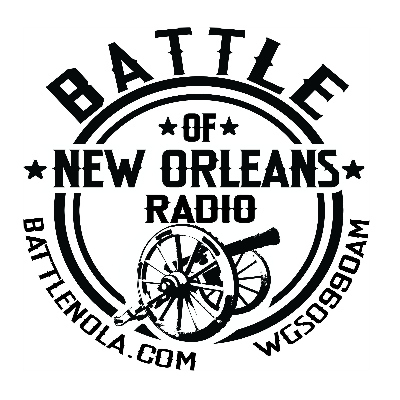 William Finck appeared on the Battle of New Orleans Radio on Wednesday August 16th. 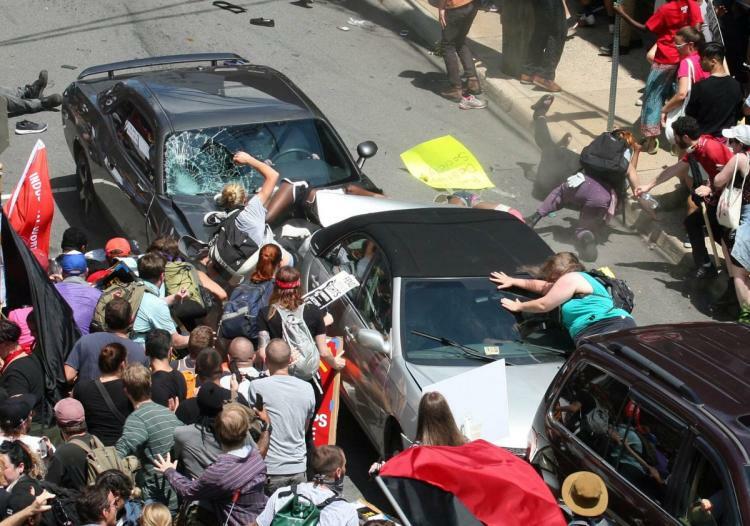 This is a 45-minute appearance to discuss what happened on the ground at the #UnitetheRight rally in Charlottesville, Virginia on August Saturday 13th. 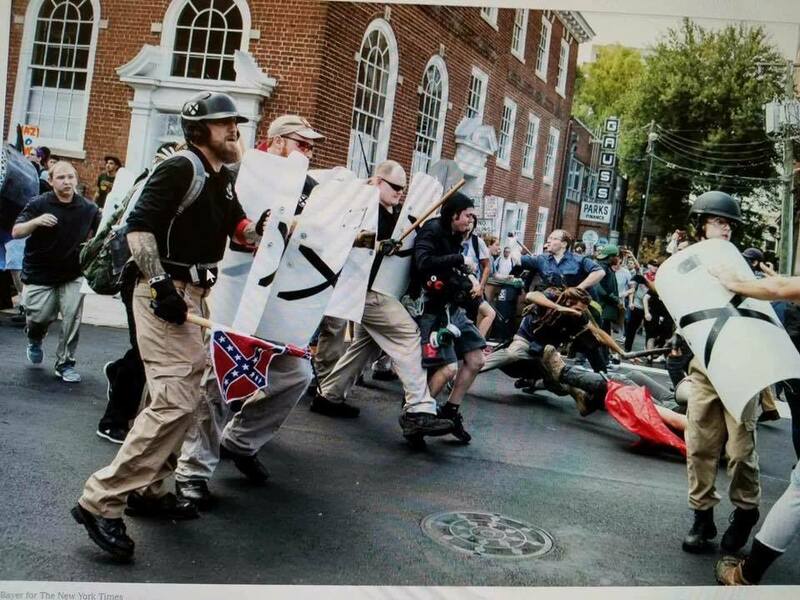 See The Dixie Project at Christogenea.org for more on Charlottesville. See the Dixie Project at Christogenea for links to image galleries and videos from May 7th at Lee Circle in New Orleans. The first week of May was already somewhat more hectic for us than usual. Our regular internet service was taken out by a storm Thursday morning, and two attempts to pre-record a scheduled program with our friend Don Fox had failed miserably. The back-up plan, a cellphone hotspot that is almost always reliable, wasn’t even lukewarm in the continuing bad weather. 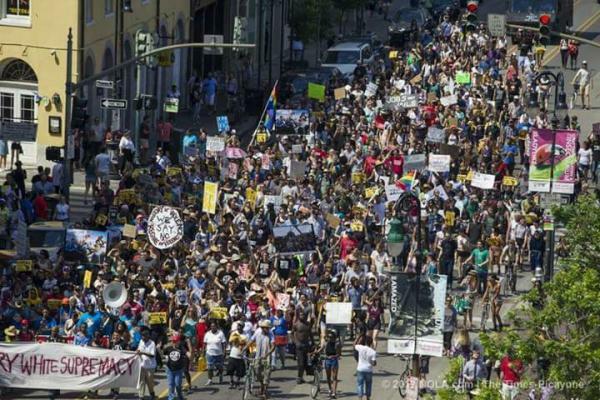 But when we heard what was about to happen in New Orleans the coming weekend, we just had to go, and Don kindly agreed to do our Saturday program live. We would have to do our part from a motel room in Slidell, Louisiana after a long drive Saturday afternoon. At least the drive from Northwest Florida to New Orleans is quite scenic. Back in April, we posted a short paragraph and a video of talk radio host Nathan Laurenson and a small group of local residents protesting the removal of the Liberty Place Monument, which is a memorial commemorating the actions of patriots who in 1874 had rebelled against an oppressive and corrupt Reconstruction government. It was only the first of four monuments that the City of New Orleans is planning to remove. The Confederate-era monuments in New Orleans are being taken down in the middle of the night under heavy police guard by contractors who wear masks and conceal the names of their companies, and the protesters were out there with them. Seeing the video of Nathan on the Internet at The Daily Resistance website, we sent him a short note commending his good work. We didn’t know at the time that we would be chatting with him at Lee Circle in New Orleans a short couple of weeks later. Facing down the Antifa alongside the League of the South and assorted other Nationalist or patriotic groups at Lee Circle in New Orleans on Sunday, May 7th, 2017. We will give a full report in an article to be presented here this weekend, May 13th, on Christogenea Saturdays.